Kings of the UK is a Tyrol-based Brit Pop band founded in 2005. After quite some personal changes and a lot of musical development the band released their debut album "Condescend to Appear" in 2013. Influenced by a variety of different styles in Pop music like Progressive Rock, British 60s Beat and 80s Synth Pop, the original members passed a colourful heritage on to the next generation around the only remaining founding member, King Felix I This new breed of Kings of the UK encoorporates elements from contemporary popular music like Electronic, Funk, and there is even a dose of Jazz. 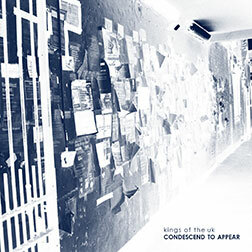 Listen youself to find out about the unique style of the Kings of the UK!